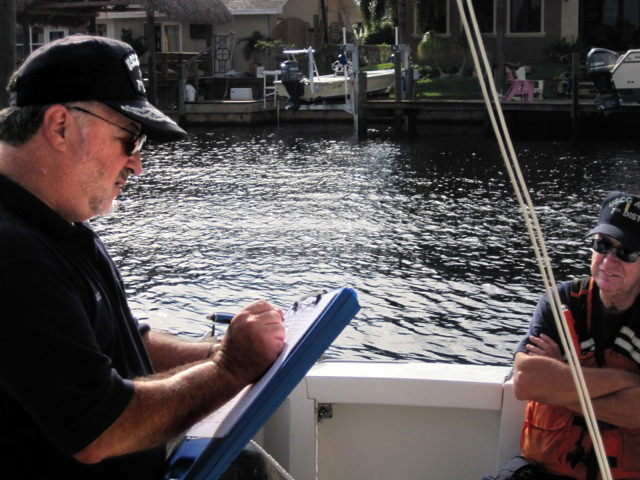 Create a pre-underway checklist like the Coast Guard Auxiliary has for their boat crews. 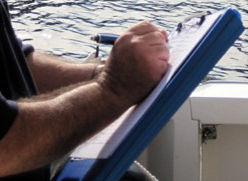 Each time before an Auxiliary boat leaves the dock, the entire crew reviews a standardized checklist together. Once all the items on the list are checked off, it is time to get underway. If something does not add up, it is OK not to get underway. It is always better to choose safety than take a risk with your life or the lives of your passengers. PHOTO: David Elliot, USCG Auxiliary Assistant National Commodore for Response and Prevention, reviews pre-underway checklist with crew member Wayne Johnson before getting underway. Photo by Diane Riggan.